This Luxury Organza Bag With Tag is perfect for the sweet toothed Bride to Be. Use them as a table name places or include them in gift bags at the end of the hen night or wedding. 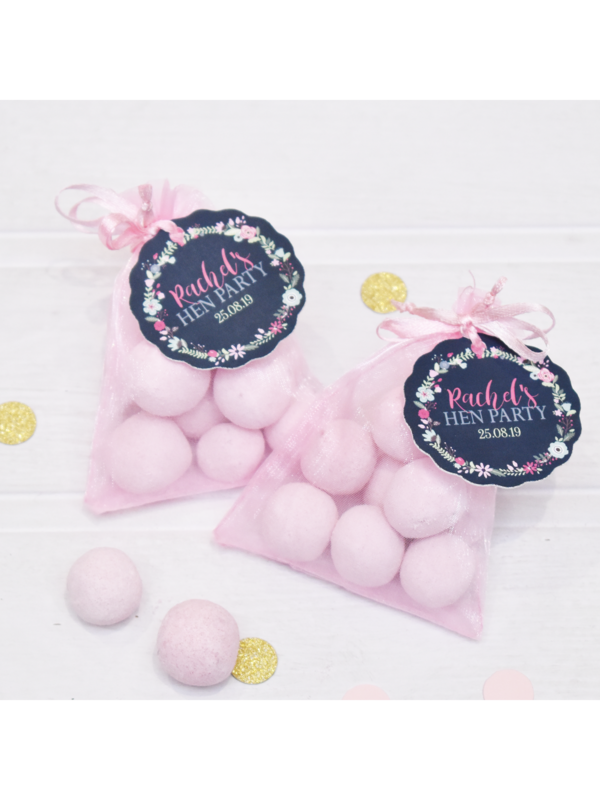 This pink organza bag is filled with Bon Bons with a personalised tag. Check out our selection of wedding favours and novelty accessories, such as this cute Compact Mirror or a joke Shot Glass Ring.